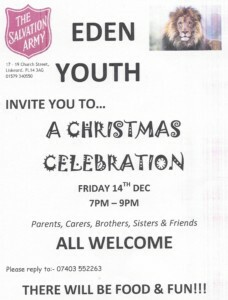 Eden Youth Club invite you to their Christmas Celebration, all are welcome – parents, carers, brothers, sisters and friends, it’s also the perfect opportunity to come along and see what we do if you are thinking of joining. There will be food and fun! 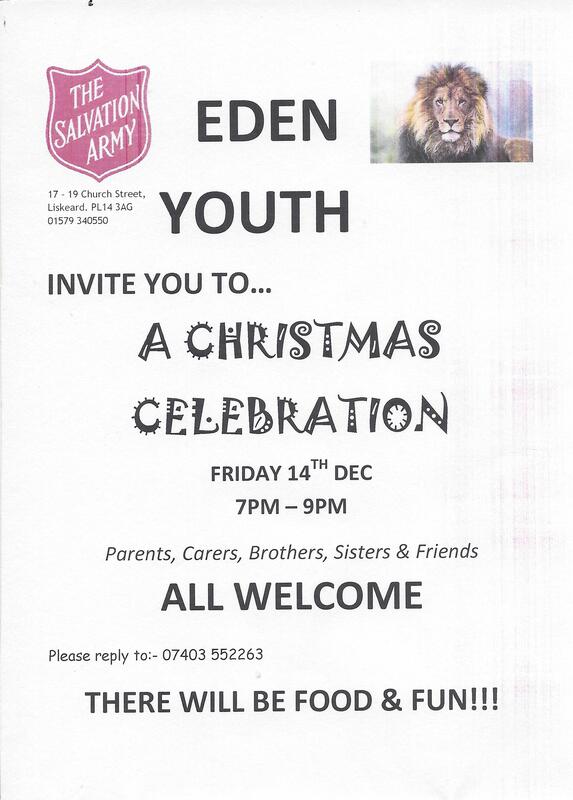 Eden Youth Club meets on Fridays during term time at the Salvation Army Hall from 7 – 9 pm. For Ages 11-16. Table Tennis, Pool, Games, Art, Tuck Shop, Music. £1 entry fee.